Chocolate and alcohol— never has a combination been more deliciously sweet. Pair that with good company and voilà! You have an instant weekend party! With winter holding us hostage here on the northeast for the next several weeks, what better way to kill the time until Spring’s rescue—I mean arrival—than to host a house party. Themed is definitely the way to go when throwing a cocktail party. A Godiva theme party, perhaps? Keep it intimate by inviting a small group of your closest friends for an evening of chocolate martinis, finger foods, and dessert truffles. The three major components of a superb party are: drinks, food, and music. Make sure you have an abundance of all three. Things will go smoothly and your guests will be happy. Plan ahead by making a trip to the liquor store for cocktail essentials such as, vodka and chocolate liqueur; the Godiva chocolate shop for decadent sweets; and Costco’s for several bulk appetizers that can be easily heated in the oven prior to the shindig. Having hot hors d’oeuvres and drinks waiting for your guests when they arrive is a great way to start-off the festivities. Don’t forget to create a music playlist for the night that will set a fun and welcoming vibe. Create a drink menu of at least two cocktail offerings for your friends that can be made beforehand then refrigerated. Chilled drinks are key. No one likes a lukewarm cocktail. Lastly, but most importantly, don’t worry about decorations because a clean and organized house will always trump fancy decorations any day. It’s time for Happy Hour! Here’s a look at our favorite cocktails. Remember, we like our drinks shaken not stirred. Martini anyone? 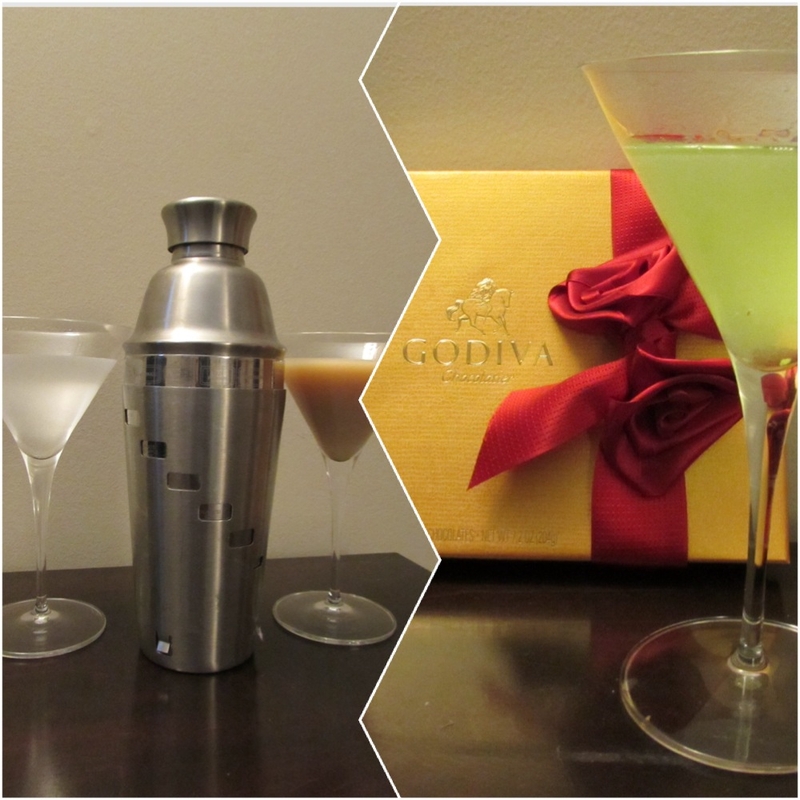 This entry was posted in Party Tips and tagged appetizers, cocktails, fete, Godiva chocolates, Godiva liqueur, martini recipes, party hosting, party planning, party tips, vodka. Bookmark the permalink.